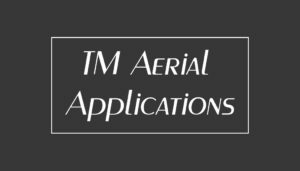 Welcome to TM Aerial Applications, a place where sophisticated unmanned flying machines, technologically advanced sensors and operators with profound skills developed through years of hard work and persistence come together to create aerial images and data of the highest quality. Here we invite you to browse our past work and see what we have to offer. For any questions you may have in regards to ground or aerial photography, agriculture and application services, don’t hesitate to contact us. We are fully licensed by the Civil Aviation Safety Authority with CASA_ReOC_0725 and insured for $10 million public liability with the ability to increase this amount if required. We are a licensed and insured UAV company that specialises in high-end aerial photography, mapping, 3D modelling, pest control and video. We bring professional services and experience to exceed expectations.